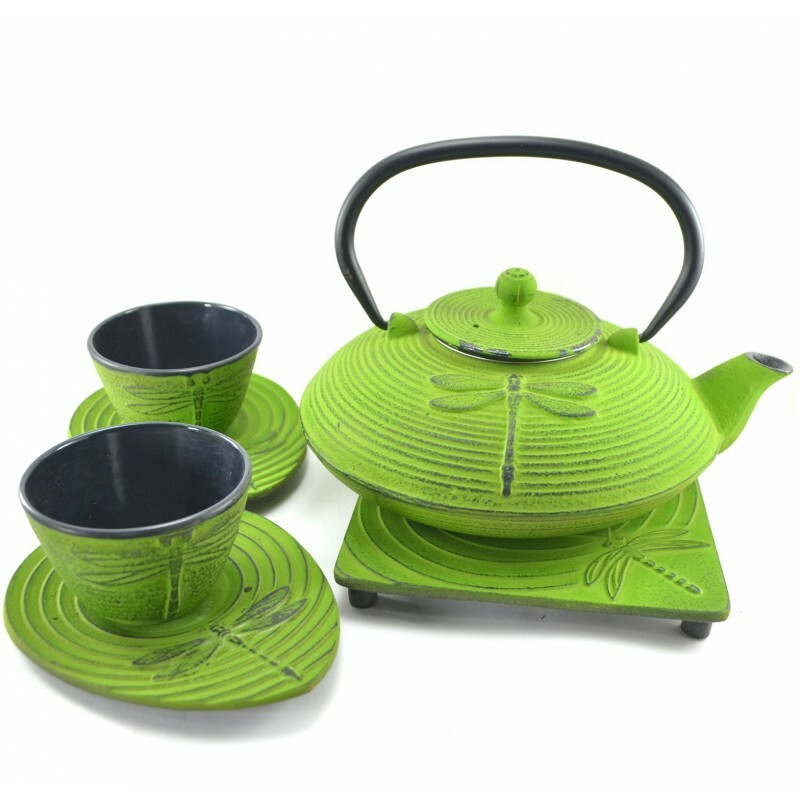 The Dragonfly Cast Iron Tea Set features an exotic green cast iron Japanese style of teapot with mystic dragonfly designs on it, as well as on the accompanying two matching cups and two matching saucers. 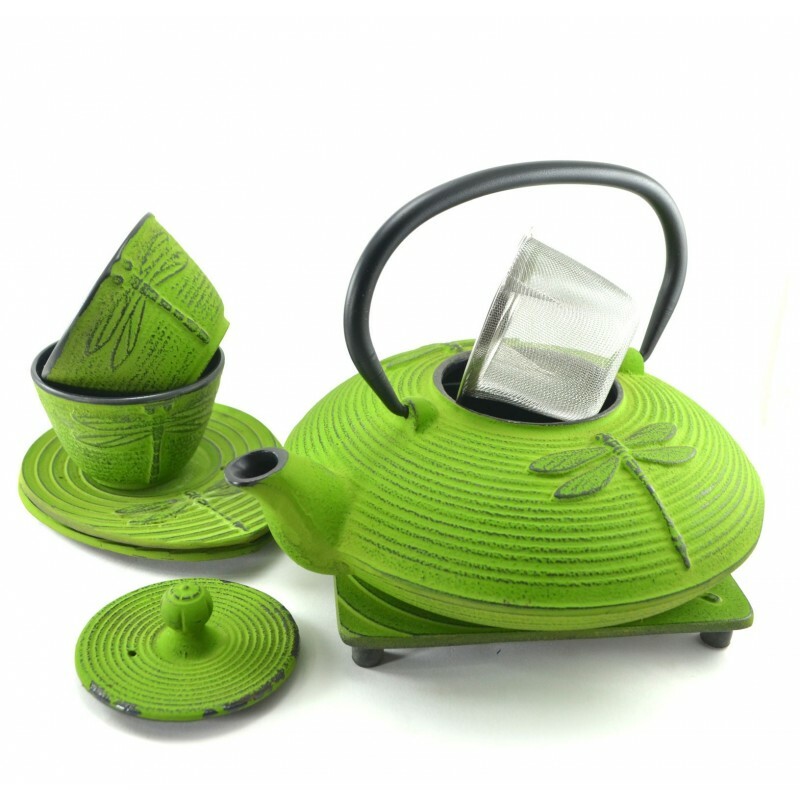 There is also a green trivet for setting the teapot on to defuse the heat. Cast iron conducts heat better, so it’s better for making your tea. 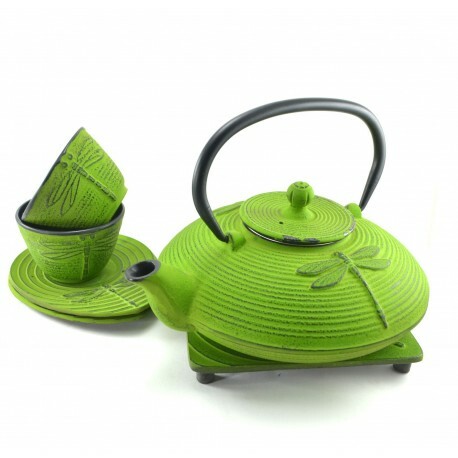 Capacity of Teapot 700 ml or 23.66 Oz.